This week Master Chat will be hosting a weekend at the Grand Budapest Hotel! Our “week-long getaway” (so to speak) will consist of a series of interviews with the cast of Wes Anderson’s newest film, The Grand Budapest Hotel, which is currently in select theaters nationwide. 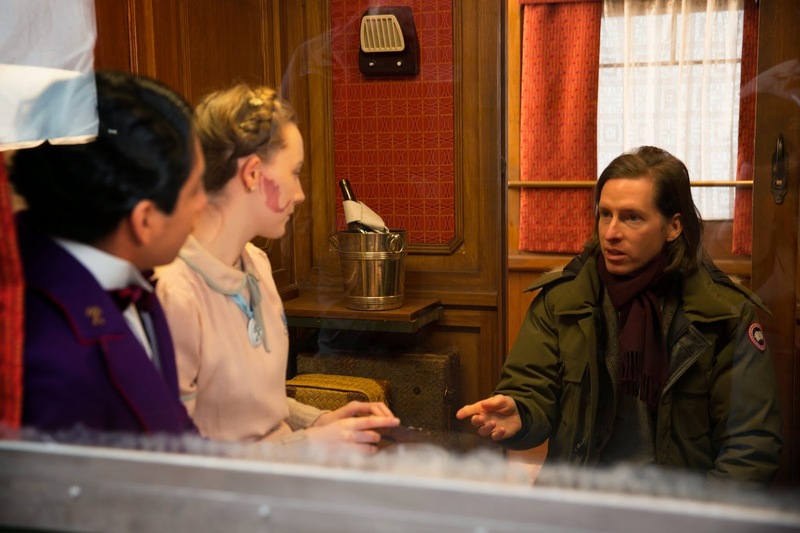 To kick off this jaunt, here’s a quick chat with the film’s writer/director, Mr. Wes Anderson! Wes unlocks the secrets, tips, and tricks to making his stylistically innovative films. Read just how his newest movie, The Grand Budapest Hotel, came to be so full of panache! MC: Is the commercial success of your movies something you find yourself thinking about more? WA: You don’t really have any control over that…my job is just to drum up some business… I think that for some movies, maybe, you can do something to the movies to try to make it more popular. But with my kind of thing, I’m not really sure what you do. I just try to do what I think is interesting or the best… I think about the audience in terms of: are we being clear? Are we getting things across?—but in terms of [the audience’s] reaction, it’s a complete mystery. What were your thoughts when casting the main actors in the film? Ralph Fiennes, we had had in mind—it was really written for Ralph. I’d hoped to work with him for a very long time and with this part I don’t really know who else would have done it and made [Gustave] seem like a real person. That was the biggest casting thing. The second thing was finding someone to play the lobby boy character, Zero. That was a very long search. We looked all over the world and we ended up finding him in Anaheim, California. The rest of the cast [included] many people I had worked with before or some people whom I had hoped to work with—like Jude Law was someone whom I had been in conversation with over the years about finding something we could do together. This was the chance. Murray Abraham is someone whom I have just admired for years and he was really a great actor to work with. You often introduce young talent in your films. What do you like about working with new and fresh actors? Well, in this one, we have a couple young actors. We have Saoirse Ronan who is someone we’ve seen in lots of movies and I just jumped at the chance for us to get Saoirse because I’ve loved her in everything I’ve seen her in—she’s such a good actress. The other character, Zero, I just don’t think that there was somebody that we’ve heard of that we could go to… You’ve got to find somebody, and whomever you find is not going to be terribly experienced because he’s going to be 16 years old. I love working with young people and often those are the people who are especially dedicated. And often those are the ones who know the whole script and they’re the most prepared and into it out of everybody. That was certainly the case with Tony, he was very on-top-of-it. What was the first initial spark that made you want to create this script? It seems bigger scale than some of your other projects. I had an idea for this character that Ralph Fiennes plays, but also I wanted to do something about Europe—some kind of Eurpoean story. It’s one of those things that gets bigger as it goes along. I didn’t start the script with an idea for the whole story. This one definitely grew a lot during the writing and grew a lot when we started to figure out how we were going to do this. For all these people who are well known, I’m just sending them the script and saying, “Here’s what I’d like you to do.” It’s me trying to see if I can convince them that they can play the part. A lot of them are old friends now—a lot of the people in this movie. Some of them are people whom I feel like I can go to and think that I’ll probably get them.